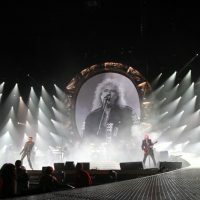 For over 40 years we have produced some of the most spectacular shows in the world, our team is ready to deliver the simplest to the most complex events. We provide corporate environment and event solutions that take full advantage of our turn key capabilities and facilities. 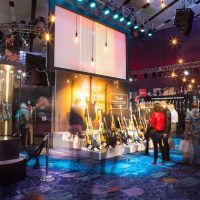 From general session meetings and product reveals to full showroom and exhibit build outs, Upstaging is your fully integrated partner! 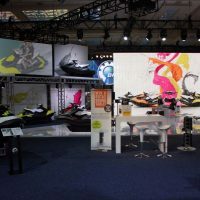 Turnkey exhibit solutions, including design, fabrication, graphics production, rental, logistics, install, dismantle and warehousing. 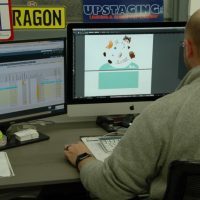 Our team of experienced designers works with each project manager and assesses all project requirements at the design stage to ensure client creativity goals are met along with accuracy in estimating. They integrate all relevant competencies necessary to the development of each project. Full drawings, renderings and budgets are then completed to submit for review and approval. Our team of experienced craftsmen can build the simplest to the most technically complex projects. 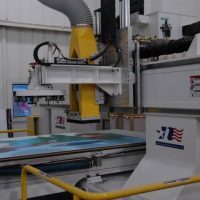 Our facilities are fully equipped with the latest technologies and include the latest CNC and welding technology, a carpentry, paint shop, custom metal shop and fabric sewing department complete our turn key manufacturing department. 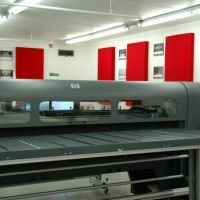 Upstaging’s graphics production department includes high resolution digital printing, computer assisted vinyl printing and cutting, lamination, large format fabric printing, and sewing. Our highly skilled staff are capable of producing the most complex and bold graphic projects. 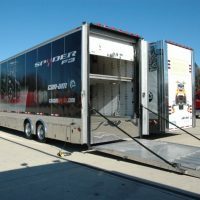 Our pre-event coordination and on-site logistics will ensure your project success and effectiveness. 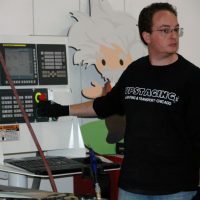 A final assembly in our shop, prior to shipping, ensures that all our realizations are quick and easy to set-up. Upstaging also provides complete on site install and dismantle of your projects, our technician direction department is highly regarded in venues across the world. Our production staff is very highly detail oriented. We work with the client and the venue on hundreds of details to meet budget and design expectations. Upstaging owns state of the art Lighting, Video and audio equipment and rigging. 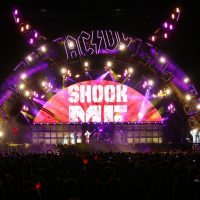 We serve some of the largest shows in the world and this expertise benefits our clients in every type of show we produce. Upstaging’s is an industry award winning technical services company with a modern inventory of lighting and audio-visual equipment. This is no doubt we can bring this award winning technology and expertise to your show and enhance your impact. Our in house fleet of newest trucks, mobile trailers, drivers and over the road technicians can help get your show on the road! We can propose a solution to move your vision to your clients all over North America. Upstaging has been moving shows and events for over 40 years. 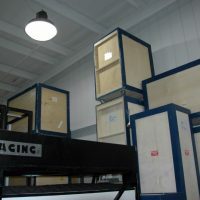 We offer complete storage and warehousing facilities with inventory management including full time staff present to check in items in and out of storage. On check in and out our storage department can identify any refurbishment necessary and recommend repair as needed.